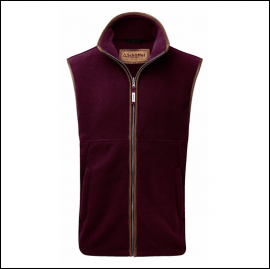 The iconic Oakham fleece is the must have gilet this season, practical for layering on those colder days or as a stand alone piece to elevate a casual look whether heading for town or country. 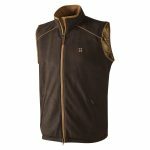 Crafted in Polartec® Thermal Pro® 200 developed to bring performance and functionality to synthetic fleece fabrics, this gilet provides warmth without restricting breathability plus feels drastically lighter than its rivals. 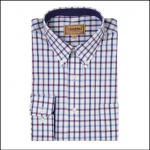 The Oakham also zips into the Ptarmigan Interactive Coat to provide an extra insulative layer when conditions demand. In a new rich opulent tone alongside contrasting Alcantara trim, create a stylish look to have you reaching for no other. 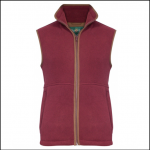 When buying the Oakham gilet please bear in mind the cut of this garment is generous; for example if your chest measures 42” we suggest you buy a size 40″. 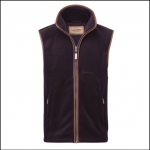 Like this Schoffel Oakham Fleece Gilet? Why not browse our complete Men’s Gilets range.